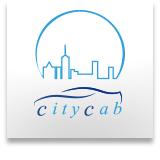 We, Citycab, would like to offer supreme and high quality services with secured, safe, and comfortable space to sincerely meet our customers’ needs. General Affairs; Sales Department (Domestic & Overseas); Car Operation & Management. Goverment Administration Offices, Foreign Embassies, Major Japanese Firms etc.